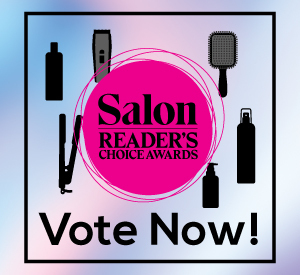 With Fashion Weeks—here and abroad— offering some major #hairinspo, we’ve rounded up the top trends that are sure to be in demand this season, along with the products you’ll need to create them. Talk about a dynamic duo! 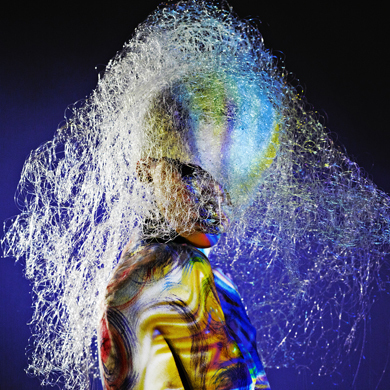 Redken’s global creative director Guido Palau and global colour creative director Josh Wood teamed up to transform models’ hair colour for Marc Jacobs’ show at NYFW. Palau gave the girls a ’60s-inspired blunt bob and Wood transformed their colour to various shades of neon, strobe-inspired hues, using Redken’s City Beats semi-permanent colour and Color Gels Lacquers permanent colour. 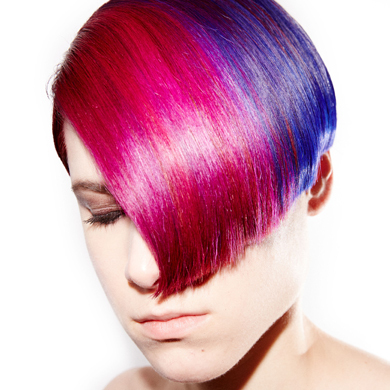 The result: A rainbow range of vibrant yet reflective shades. For clients who can’t seem to decide on a side or middle part, it’s time to “flip” the script! As seen at Anna Sui’s NYFW show, lead stylist and R+Co co-founder Garren used the brand’s Jackpot Styling Crème to create a tousled, textured look that was flipped to one side. are looking to embrace the undone hair trend. While we’ve grown accustomed to seeing braided looks take centre stage at music festivals, they’ve also become a staple for elevating the traditional updo. Case in point: The models at Ulla Johnson’s show at NYFW, who sported sleek braided buns by hairstylist Esther Langham, who utilized Amika’s Fluxus Touchable Hairspray to clean up ends for a sleek finish. 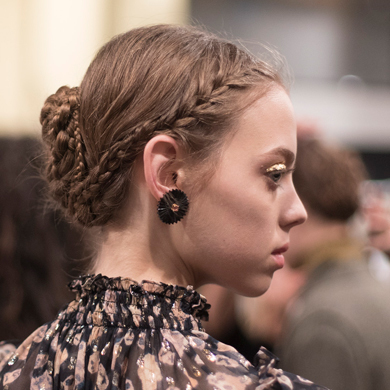 For Simone Rocha’s London show, hairstylist James Pecis created three side-parted custom plaits that were tied with a satin bow and locked in place with KMS’ HairStay Working Hairspray. Amping up the femininity, he added a beaded bow barette to secure the side-swept pieces, complementing the designer’s elegant yet eccentric esthetic. 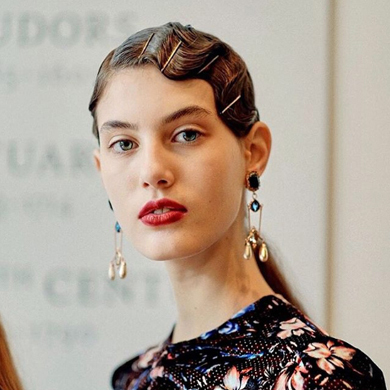 While ponytails continue to be a hot style on runways, Anthony Turner turned up the heat with a ’20s-inspired, finger-waved pony at Erdem’s London show. He created the waves using a combination of L’Oréal Professionnel’s Techni.Art Pli and Wild Stylers Rebel Push Up texturizing mousse, which were combed into hair before waved on the side of the model’s face, accenting the ponytail’s side-part. Who says frizz is a faux pas? At Sonia Rykiel’s Paris show, hairstylist Paul Hanlon created an over-the-top voluminous, frizzed-out look—reminiscent of the designer’s own hairstyle— using crimping for a range of architectural-inspired shapes. The texture and volume created drama and movement that worked beautifully on the runway, and added an unexpected twist to traditionally classic styles. While extensions were used to create this dramatic runway version, consider using L’Oréal Professionnel’s Volume Lift root lift spray- mousse to help your client’s hair reach for the skies. 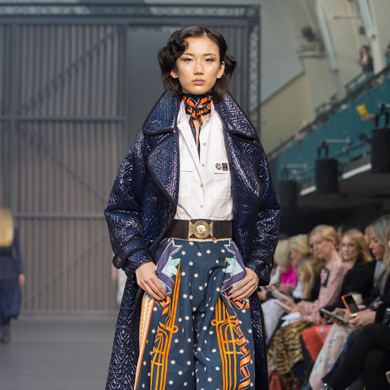 At Temperley London’s show at London Fashion Week, Moroccanoil’s global ambassador Antonio Calero Corral took inspiration from powerful women of the 1930s for a modern take on traditionally feminine hairstyles. With soft waves draping, hair was finished with Moroccanoil’s Glimmer Shine for a glossy result, and secured behind the neck to frame the face. 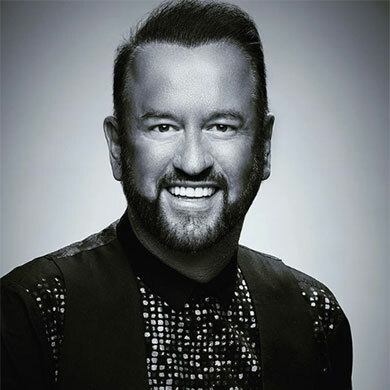 For Toronto Women’s Fashion Week, Redken Canada’s styling ambassador Cindy DuPlantis took the lead, elevating the classic top knot at the Stephan Caras show into a more sophisticated style to complement the designer’s range of evening dresses and ball gowns. DuPlantis used Redken’s Guts 10 Root Volumize Spray Foam for height and Control Addict 28 Extra High-Hold Hairspray to lock the style in place. 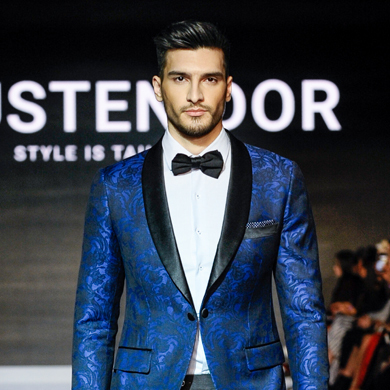 Enhancing each model’s natural texture was the goal at the Austen Dor show at Toronto Men’s Fashion Week. Redken Canada’s styling ambassador Cindy DuPlantis used the Redken Brews Maneuver, a water-based cream pomade with medium control and a smooth finish.